There was something of a turnaround in house prices in March following decline in February. The Teranet/National Bank HPI showed a nationwide increase of 0.29 per cent in the month and 4.73 per cent from a year ago. In February 8 of the 11 markets surveyed saw prices fall but in March 8 of the 11 increased. As you might expect Toronto and Vancouver heavily influenced the index with annual increases of 7.62 per cent and 5.3 per cent respectively. While Calgary prices are 2 per cent lower than their peak in the third quarter of 2014, they still managed a 0.19 per cent increase in the month to March; Edmonton saw a 0.38 per cent rise. There was decline in Halifax although the annual rise was the highest in the index at 8.4 per cent. 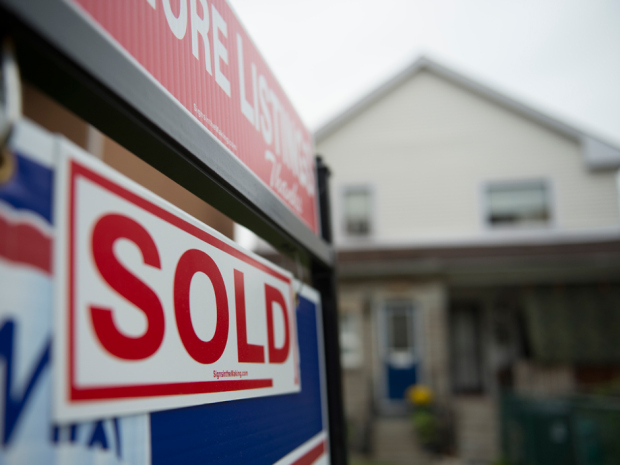 Ottawa-Gatineau was the worst performer with prices down 0.33 per cent in the month.